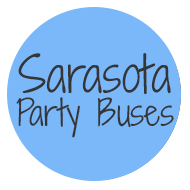 Sarasota Party Bus has the highest commitment to providing the very best! If you make the choice to book transportation with us, we guarantee that you will be getting much much more than proficient transportation! You will be getting transport from a company that has committed to providing the very highest level of customer service in the industry. We go to great lengths to insure that even the smallest of details is regarded with the highest level of attention, which goes a long way toward making sure your event's transportation is one of the highlights of your day. We have our phones on all day, every day of the year. This insures that your every need is accounted for, no matter when it might arise. Your needs come first, no matter what! In a customer driven industry, we make sure that each and every one of our staff shares our vision of providing world class service and vehicles. Our high standards will be on display for you from the very first moment you get in touch with us. Our vehicle maintenance crew work tirelessly to make sure each vehicle that leaves our garage is as clean as it was when it was new. The technicians who work on the mechanicals of our fleet are both highly skilled and proficient in keeping our vehicles in perfect working order. We can guarantee that we'll be on time, in large part, because our dispatch team works with an efficiency that might put an air traffic controller to shame. Last but far from least, is our highly trained and consummately professional chauffeur team. They are the last in our great line of employees who will spare no detail in making sure your every need is met, and that every member of your group is treated with the respect and dignity they deserve. Our team makes you feel like royalty, and our vehicles make you look like royalty! Each and every one of our top of the line fleet is at your disposal! We really keep on top of the latest in vehicle technology and developments to make sure that each set of wheels in our fleet is regarded by our customers as "world class". You can be confident beyond belief when you rent a Party Bus or Limousine from us, that you are getting a first rate vehicle. Regardless of the make. We maintain proper DOT and FDOT registration on each and every vehicle in our fleet. We also carry the highest level of insurance which can be found in the industry. Both of these details are in place to insure your safety and protection, as well as your highest level of satisfaction. We are eager to serve, and look forward to hearing from you!